Private underground Parking lot available with access from Broadway Ave., sign for 2401 Yonge st Medical Centre. Once you take the elevator to the ground floor you will arrive two doors south of the restaurant. There is a private parking lot right across the street and parking along Yonge street. 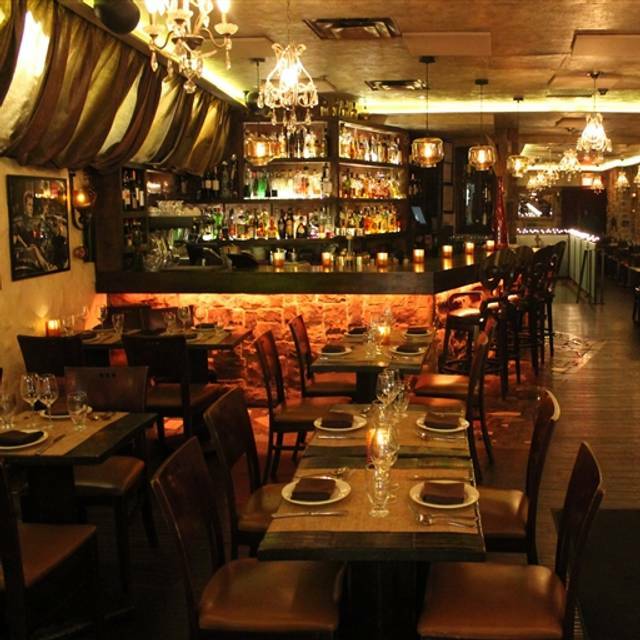 Take a trip to old world Italy without ever leaving Toronto. 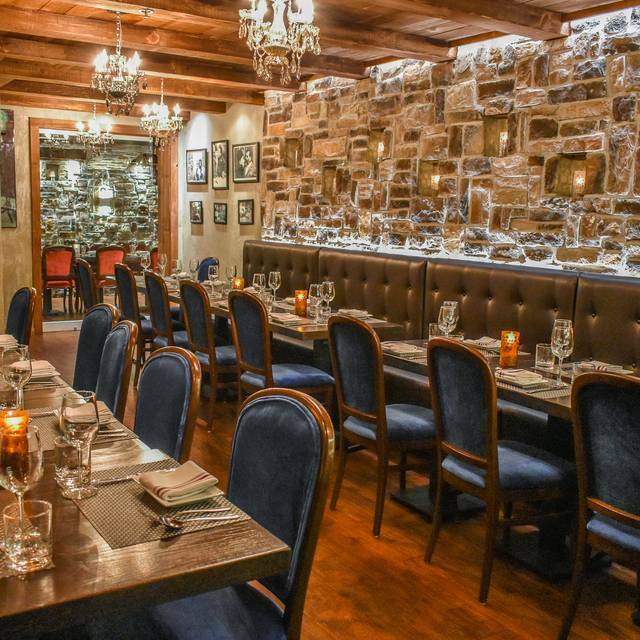 Located in the fashionable area of Yonge and Eglinton, La Vecchia delivers the authentic taste of Italy with a genuine Italian ambiance. 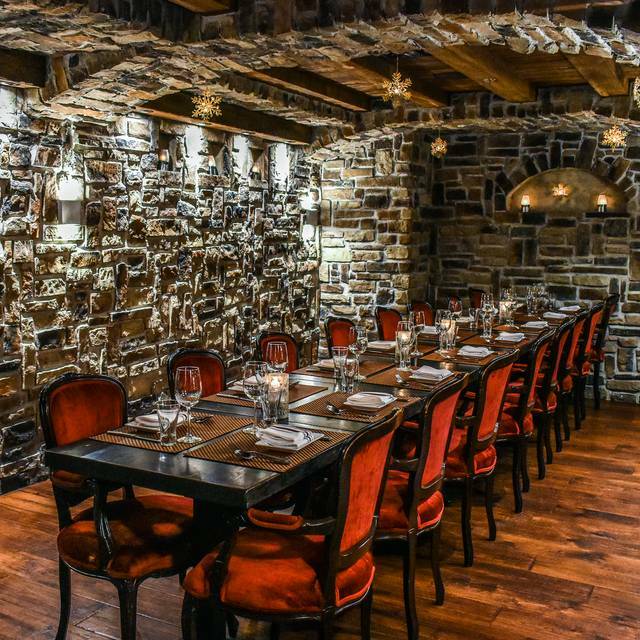 From the stone and stucco walls covered in Italian pictures and art, La Vecchia captures the essence of Italian dining with European flair and culinary excellence. 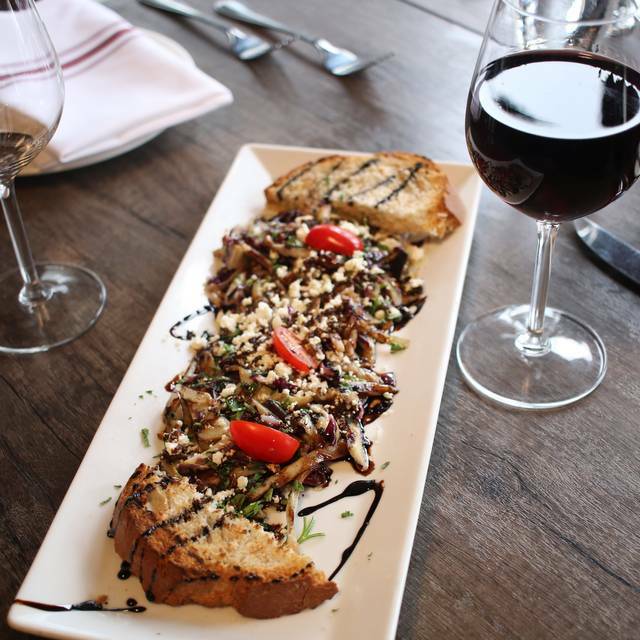 The menu is old world, with a strong focus on fresh, quality cuisine. 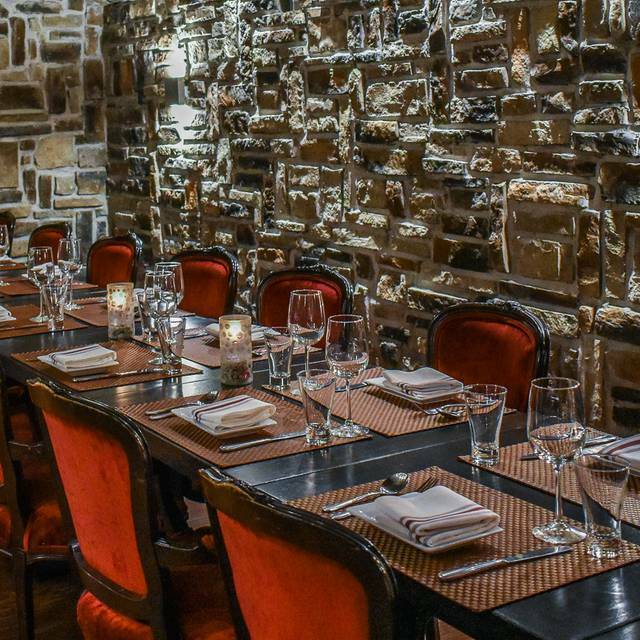 Whether celebrating a special occasion with family and friends or hosting a corporate outing, La Vecchia Ristorante can accommodate all your special event needs. We went for my birthday and they spoiled it ! Friends dined together after hearing another friends jazz band! Warm welcome and feeling like a valued patron from the moment of arrival until left. Food was very good for the price paid. The food was absolutely delicious and the service was wonderful. Always a pleasurable dining experience. Very hospitable service and fantastic food. I chose this restaurant for its cozy, mature, and classy ambiance, plus the fact that it had multiple vegetarian options and homemade noodles! Did not disappoint. My friend and I will be back and recommend to others. Great place, really busy, maybe a little too busy for them! They brought appetizers out with the entrees. Food too rich, sauces not delicate. Restaurant very noisy. Good service, though. The food isn't quite what it used to be. The bread seemed stale, the veal was over cooked and service was slow considering the restaurant wasn't full. The table beside us got their food before us even though they ordered way after us. Food, sevice, ambience were great. Wasn't my first time won't be be my last. Always fantastic food and outstanding service. I’ve been going for 15 years.... introduced all my friends to it. Can’t recommend it enough. Less noisy than Grazie and menu is a bit more upscale. Food is consistently good. Our server Alex is beyond amazing. Have been going here for years and have always had a great dinner. The service was extraordinary. One of the best service i have ever received in a restaurant. The food was AMAZING. It was full of flavour. My pasta was cooked to perfection. The dessert was the best!! Everyone there was really courteous and we felt really valued. Thanks for the great experience!! My wife and I along with another couple special friends, and just out for a Sunday afternoon lunch. 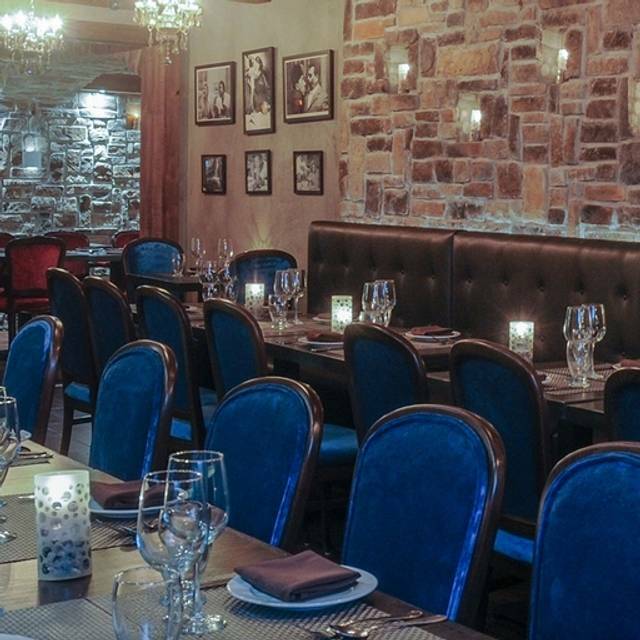 We were very pleased with our lunch experience, the host was super nice and very welcoming, the waiter very friendly, open to conversation and very thorough with our service. The Food was delicious, and vibe and the ambience in the restaurant very warm, comfortable and inviting from the minute we walked in. It felt like home, we were treated like special customers, we are definitely going back soon for a similar experience for dinner. This was one of the best meals that we have had our in Toronto. The service was outstanding. Alex our server was a true professional and was very entertaining. Food was truly outstanding. The Osso Bucco special was special. Other nice touches were the owner stopping by and genuinely asking about our experience. Can’t wait to go back. Love this restaurant! Amazing food, great ambiance, but above all, the attention to detail by the staff is second to none. Will keep coming back! It’s like coming home! 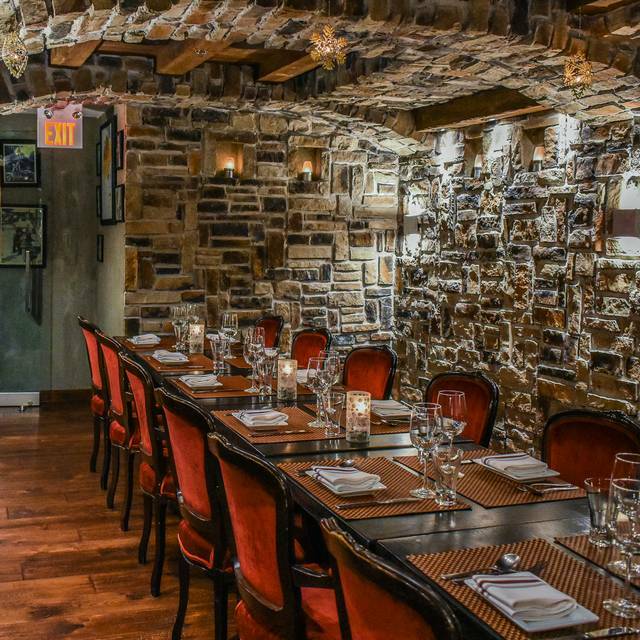 La Vecchio has always been our special event dining place of choice. The food is outstanding quality and compares to none in the area! However the quality of food put us in good mood and allowed to languish at table more than we should have possibly. Amazing service. Waiter was great. Table a little too crowded. A little loud for conversation. Food amazing! Great spot for lunch, excellent thin crust pizza, service was perfect. Great vibe. Busy. Good energy. Great food. Always a good dinner. We have been going to La Vecchia for the past 9 years. We have never had a bad experience. Food and service is exceptional. The food is amazing as always and this time Alessandra gave us the best service we’ve ever got at La Vecchia. 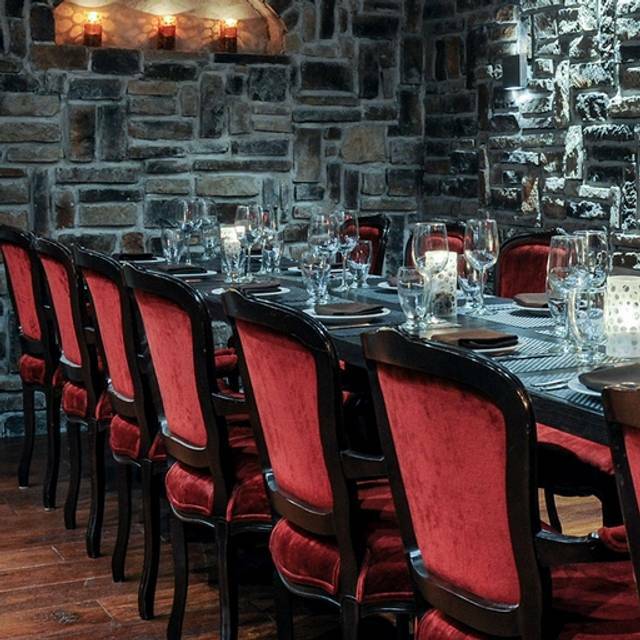 Amazing food and great ambiance for a quick business lunch!!! Would highly recommend this place to anyone. Great location as well! I did not like my meal. I ordered the rigatoni with chicken. I was expecting white grilled chicken in the pasta, but it was dark chicken. I’ve never seen this in pasta before and it was really unappealing. Exceptional service. Food was good, but not great given the price. Very nice atmosphere and clearly a place in great demand from the lineup. Would definitely come back! Other than the wait for 10 minutes inspite of a reservation was the only issue. 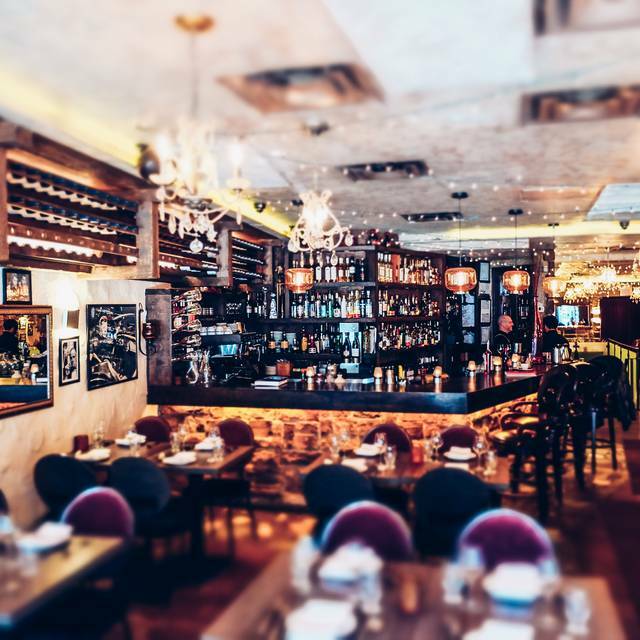 I’ve been to La Vecchia a few times and it has been incredible every time. The staff is very nice, the food is delicious and the food comes out quickly! It can some times be a bit loud, but other than that I love everything about this place. I always order the seafood linguini and they give you a very generous amount of seafood. Make a reservation if you can because there can be lines, but they also have a nice bar you can wait at. Will definitely be back plenty of times in the future!